We conducted a study to assess how income assistance payments can affect illicit drug overdose deaths, using mortality data for BC over a period of 5 years. During 2009–2013, 1343 deaths were reported with 394 occurring during cheque weeks and 949 occurring during non-cheque weeks. We found average weekly mortality due to illicit drug overdose was 40% higher during weeks of income assistance payments compared to weeks without. Consistent increases in mortality appeared the day after cheque disbursement and were significantly higher for two days, and marginally higher after 3 days. In our last e-zine, we announced the launch of this innovative initiative to ensure everyone in British Columbia has equal access to harm reduction services. The goal of PEEP is to establish a peer engagement network with best practice recommendations so service providers can work with peers in their communities to better meet local needs. You can find all these materials and more in the PEEP section of the BCCDC website. We would like to gratefully acknowledge all the wonderful peers and youth who helped create the new Take Home Naloxone training videos! Not to mention our fabulous production team and all the support we've received from colleagues and more. 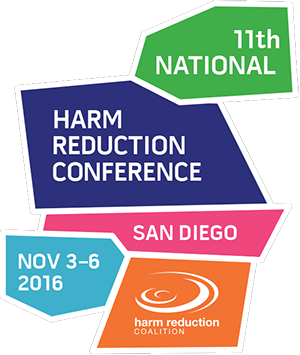 We will be presenting at the 11th National Harm Reduction Conference in San Diego, California that takes place November 3-6, 2016. The biennial conference is the only conference of its kind in the United States. 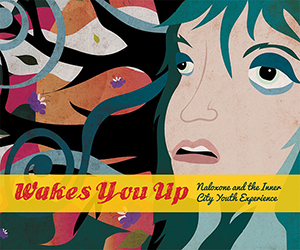 As featured on the cover of this e-zine, the youth art booklet and training video were the result of a project centred around focus groups with youth, led by youth peer researchers and supported by a MPH student. Special thanks to Katrina Pellatt, Inner City Youth staff (Elise Durante and Keren Mitchell), and the numerous other youth and staff who enthusiastically supported the project!